Studied graphic design under Michael Manwaring at the California College of Arts, San Francisco. We were taught "design is design," regardless of medium. Ask questions as you define the scope of the project, research, interview, seek expertise, and engage collaborators. Work hard and find joy in problem-solving. With this design philosophy as my own, I found multiple channels to explore storytelling through cross-departmental teamwork. 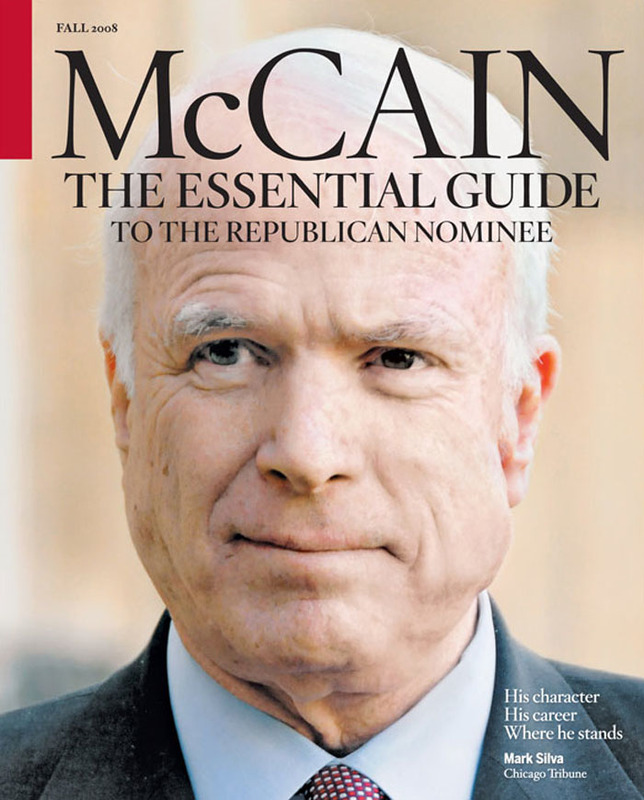 Two political guides of the 2008 presidential races; 128 pages, a 2- to 3-week turnaround. BACKSTORY Our initial concern was a “fair and balanced” issue regarding the photos and display. Pete Souza had dedicated a full year of photographing Senator Obama’s first year in office and his presidential campaign. Would we have strong images of Senator John McCain? Yes, we did. The McCain family opened their rich archive to us. IMPACT Both books were praised for the great photography as the lead storytelling device. ROLE Art director, "Be not Afraid: The Epic Papacy of John Paul II"
BACKSTORY With the Chicago Tribune’s vast archive of assets from photography, interviews, videos and articles, our team took the lead on producing a rich narrative. WBHG Boston was hired to do the graphic timeline. I established overall design architecture, interactivity and style guidelines; coordinated all the assets with editorial team. Designed the screens in photoshop and conveyed the interactivity to outside developer. The previous summer, I cross-trained on the Good Eating television program for 3 months while working on the weekly print edition. This experience enabled me to storyboard one of the videos for the John Paul II Project. That was my first experience with a moving editorial narrative and I loved it. Focused on editorial design, and art direction for Tribune’s wide portfolio of feature sections.